Launched in the UK 2011 this American brand has been on British soil for a while now however i have never had the pleasure until now. I only discovered the brand recently after a long ebay search for a new phone case. I also discovered the Covent Garden store whilst in the the city for work, it was an accidental discovery running around in the rain - such a classy place to shelter, although my boss did have to drag me out of the store, i could have stayed in there all day. I also now know that there is a store in Bicester Village - gorgeous product at a discount, hello trip to Bicester! I am spending my birthday in London with family so i think Covent Garden may be on the days itinery, and with a free reign on presents me thinks Kate Spade's till will be ringing before the day is over! 1. Gold spot iphone case - if only i had an iphone, wish this came compatible with Samsung. 2. Simple necklace with a sailor feel to it. 3. Sparkly Blackberry case, eyeing this up for my new phone. 4. Travel chic - spacious toiletries case. 5. Sparkly heels - if only i had known about these beauties, these would have been perfect for my wedding! 6. Book clutch - a new twist on a classic. 7. Kate Spade perfume - Twirl, love the bottle design. 8. Watch - gorgeous aqua shade. The perfect partner to everyday outfits! 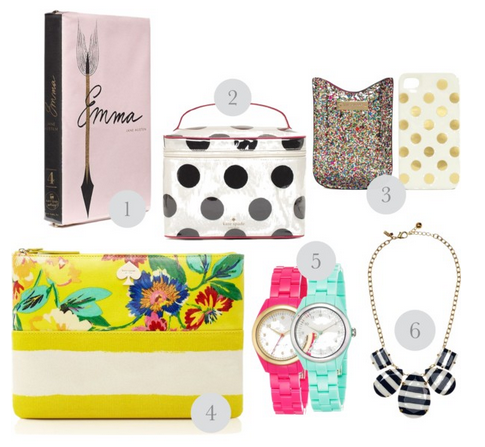 Check out my birthday post next month and see what goodies i end up with. 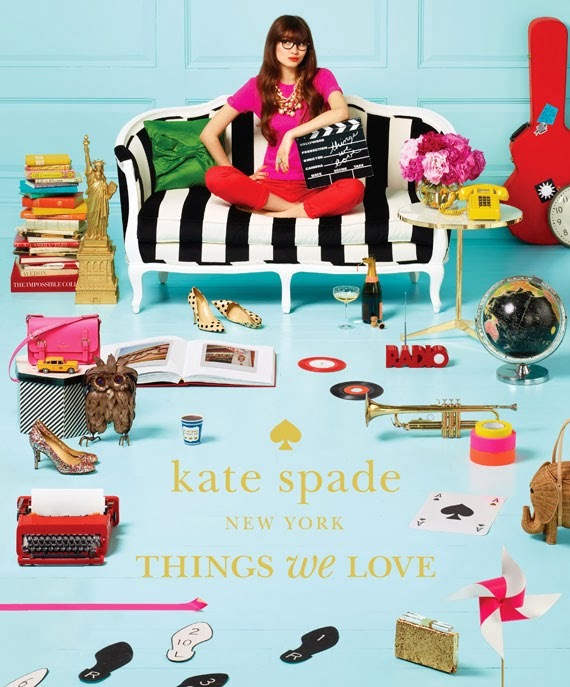 Have you ever bought from Kate Spade?? Leave me a comment and let me know what my your favourite's list.